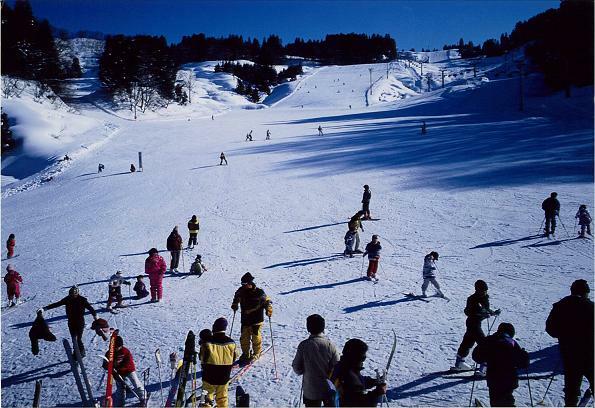 Snowboarding is permitted in all areas on this slope, which is ideally suited to families and beginners. The slope is just 1.5 km from the train station and can be reached in two minutes by car. It is possible to rent gear. There is a ski school offering individual and group lessons (reservation required) so even complete beginners are welcome. 45 minutes by train from Echigo-Yuzawa Station to Hoku-Hoku Line Matsudai Station,and About 2 minutes by taxi from there.